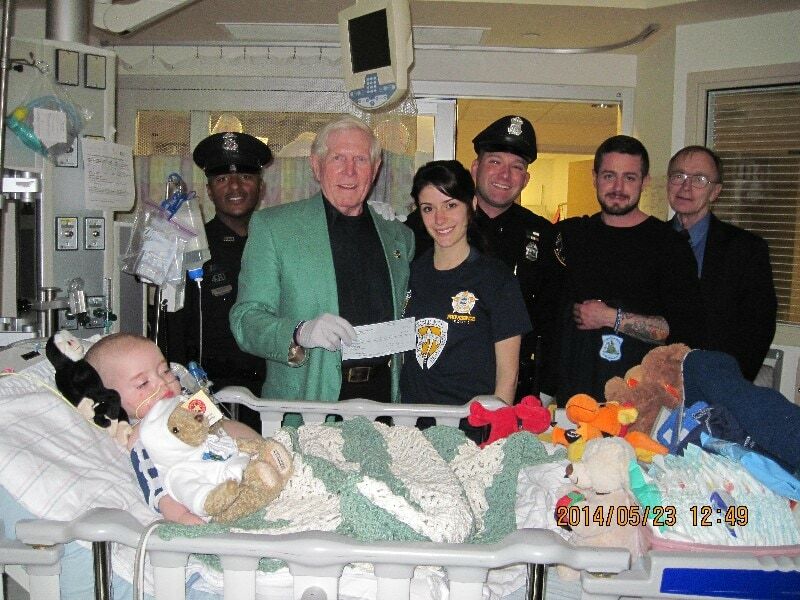 On Friday May 23, 2014, Cops For Kids With Cancer, went to Children’s Hospital in Boston and made a $5,000.00 donation to the family of Blayne Elliott, a 15 month old boy from Cumberland, RI, who has Leukemia. In photo left to right. Officer John Benros, Providence Police, Bob Faherty, Mother Brittney, Officer Michael Clary, Father David, and Lieut. Det. William Coulter, Mass State police and CFKWC Board member.